Generally in industry three types of the production plan format are arranged on base of the time frame. Monthly Production Plan – General information of the product and area where planning the material as per customer requirements, there are no specifically machinery, bill of material or manpower arrangement are show, and this is general planning of customer orders. 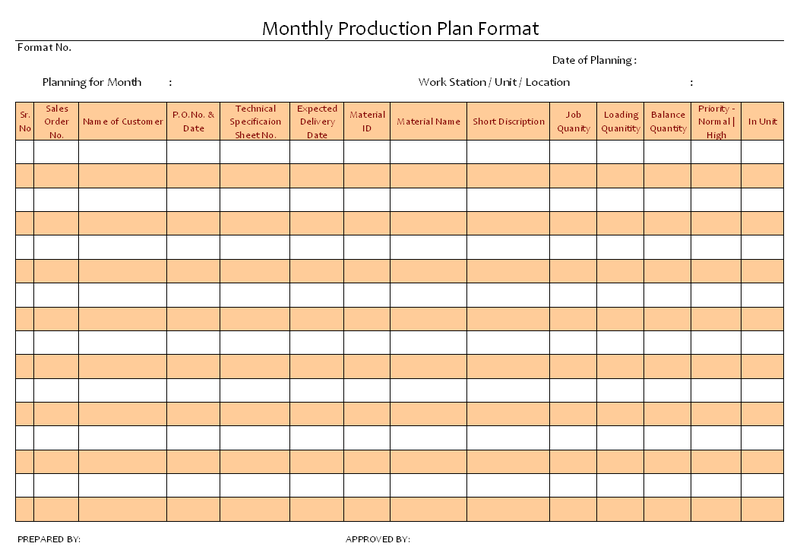 Daily production Plan – this is unique planning sheet that all the information of the machinery that is machine wise production planning, Date wise machinery, bill of material and manpower planning, all the equipment planning are also mentioned in this sheet, daily production planning is perfect planning of the each things but there are disadvantage of the planning is that breakdowns, manpower and other natural issue can unbalance its perfections.